BeautyFIX January 2019 – Available Now! The January 2019 BeautyFIX subscription box is available now! SkinMedica HA5 Rejuvenating Hydrator – 0.13oz. What do you think of the full January BeautyFIX spoilers? Are there ever any coupon codes to try out this box? Wow- bummer. I wasn’t overly excited about this box, but I knew I’d use everything. I got an email from them about an error with my card (which I verified was having no issues) so I typed in my info again. Just got an email saying my order was cancelled. Oh well. Just saved $25 this month. 😁😁😁My box is out for delivery!!!!!! Boxy got pushed back, again!!!! 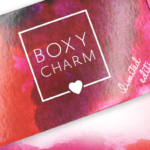 i got my box yesterday, and it was great…I love everything…I love beautyfix. OMG I resubbed Jan. 4th and they sent me the December box. Noooo! I cancelled to skip Dec. I’ve learned my lesson I guess. Don’t resub until you see the whites of their eyes. I ordered on the 4th too, my box is due tomorrow. I just checked my account and order history and it specifically states JAN 2019 as the box I ordered. If they send DEC it goes back bc they sent the wrong item…. I did the same. I got mine today and it was the January box. I’d call them for sure. I’m looking forward to this box! I have enjoyed getting this box monthly! Mine is on the way as well! But I never understand why sub boxes send shampoo without a conditioner (or vice versa)! It kinda irritates me. Anyone know why they do this? Well, I actually agree with you. But to play devil’s advocate, I have received hair masks and deep conditioners in two different sub boxes in the last couple of weeks (but no shampoo). So I am going to use this shampoo with those conditioners. But it still would have made sense for them to have sent a matched conditioner with this shampoo, which I am really looking forward to trying, btw. mine is on its way….yea can’t wait. Oh, you have encouraged me to resub. I had resisted the last two boxes! Are there any active coupons?